I don’t know about you, but when I was a kid I ate a ton of Chef Boyardee. You know…those little cans of Beefaroni and Ravioli? Basically just pasta in tomato sauce. I know – not the healthiest – and pretty plain and boring maybe – but hey I was a kid ok? And this was the ultimate kid comfort food! 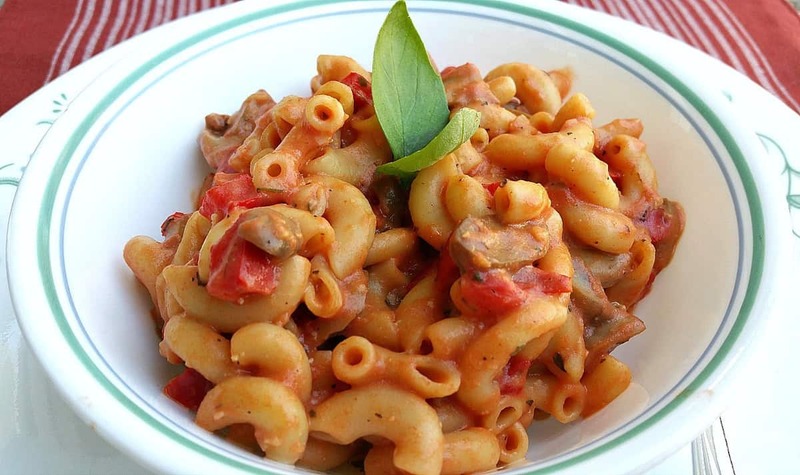 So last night as I was preparing dinner – pasta in garlic sauce – I added a can of Tomato Sauce and what do you know…..
Before I even get started – I know many people ask why us Vegans have to keep trying to imitate meals with meat. Why do you call it Chicken and Dumplngs if there’s no chicken? Why do you call it BBQ Beef if there’s no beef? That what it all boils down to. I recreate the comfort foods I grew up eating. 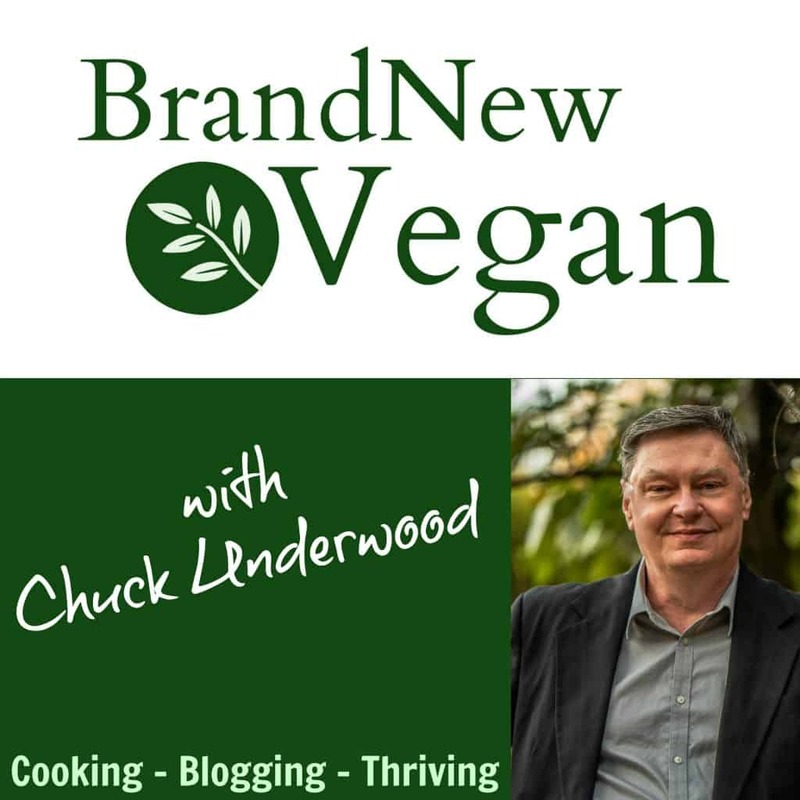 And I know for many people who are just beginning this lifestyle (all you Brand New Vegans) – that having your favorite comfort foods available while you’re transitioning will make the journey a whole lot easier. That’s why. Now let’s get to it! 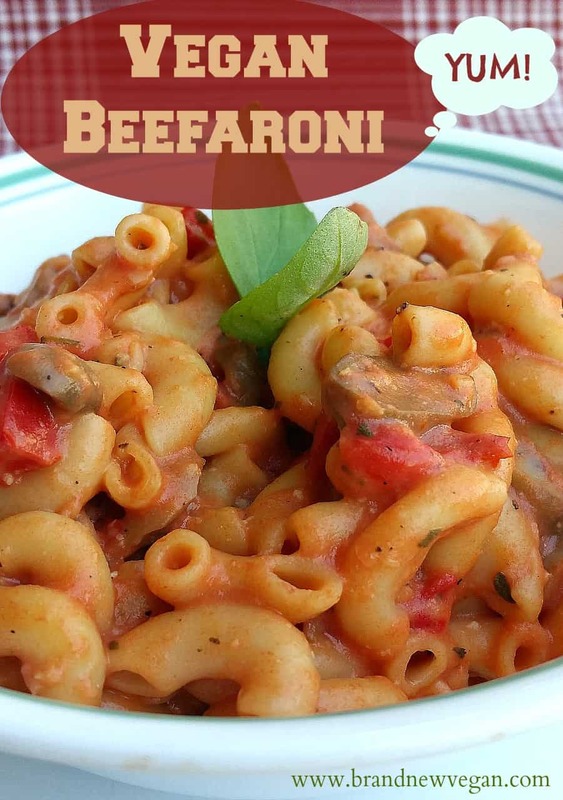 So what exactly is Vegan Beefroni? It starts by making a basic Garlic Sauce. Mince anywhere between 4-8 good-sized cloves of garlic and sauté them in about ¼ cup of veggie broth until softened. I used 8 but I REALLY like garlic. After cooking for a few minutes, sprinkle on 4 Tbls of regular AP Flour to make a thick paste, adding additional Veggie Broth if necessary to keep it from becoming really gummy. Gluten Free folks feel free to try Spelt Flour or whatever you normally use as a thickener. Let that brown for about a minute and then slowly whisk in 2 cups of unsweetened Almond Milk. Be sure and break up any clumps. Season this with ½ tsp of Onion Powder, and salt/pepepr to taste. You can also add Vegan Parmesan – which is basically ground up Cashews and Nutritional Yeast. I think it really gives the sauce a good flavor, but some people cannot stand Nutritional Yeast – so it’s completely optional. If you do add some – I used about 2 Tbls. Keep whisking over med-low heat until it starts to thicken. This may take a little while….just keep whisking..
Now add 1 Tbls of Pimentos, ½ chopped Red Bell Pepper, and 2 small 4oz cans of Mushrooms. Stir well until its nice and bubbly and is really begin to thicken. If you haven’t already – begin cooking your pasta – about 8 oz. 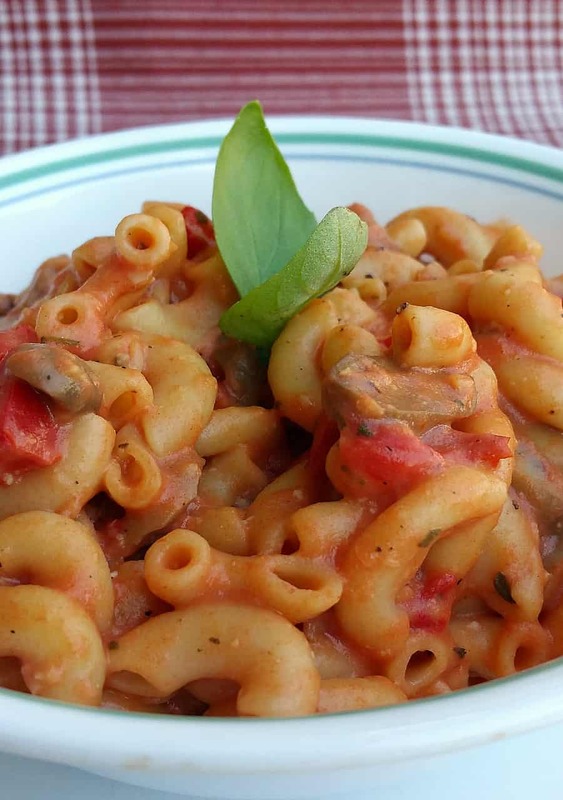 I recommend Whole Wheat Macaroni, but if you’re Gluten Free – use the pasta of your choice. When the pasta is done, drain well and add it to the garlic sauce. Finally, fold in 1 can of drained diced Tomatoes and an 8oz can of Tomato Sauce, and ½ tsp each of dried Basil & Oregano. Stir well to make sure all the macaroni is evenly coated. Season with additional salt & pepper if necessary and garnish with fresh Basil. YUM! Vegan Beefaroni. I bet your kiddos will love it. Remember Chef Boyardee? I ate a ton of this as a kid. 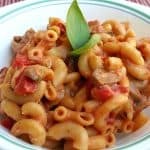 So what happens if you add Tomato Sauce to Macaroni & Mushrooms in Garlic Sauce? Vegan Beefaroni! I just made this for dinner; it was great! The sauce is really good, great flavor. I would recommend a good crusty loaf of bread to get it all! Thanks Chuck! I just found this recipe this morning & so excited! I can vaguly remember liking beefaroni as a tot but it’s been soooo long! However this has everything I love in it…it can’t go wrong! Cooking some up tonight! This was so good. I wouldn’t have thought of making a roux based sauce, but it definitely works. I think I’ll mix the flour into the plant based milk first (I used soy milk) as the flour hitting that hot veggie broth made instant dumplings that were hard to smash up. I didn’t drain my tomatoes and used tomato paste as that’s what I had. Loved it, and it’s going into the regular rotation.